Exhibition at the IS4IS 2017 conference at Chalmers University, Gothenburg, consisting of video installations, AI generated paintings and 3D printed sculptures of dance. Art has always had the ambition to closely relate to human nature and culture –both by reflection and by pushing boundaries and challenging conventions. What happens when the human part is replaced by or complemented by an artificially human, machine intelligence? Artificial intelligence is on the way of fundamentally changing the world and will be permeating almost every part of our lives. It forces us to revisit many fundamental questions in not only philosophy and ethics but also art. Within art, dance is of special interest as it is intimately tied to the human body and expresses an embodied experience where both intellect and emotion have many degrees of freedom. “Artificial dance” is the transdisciplinary exploration of AI and contemporary dance. 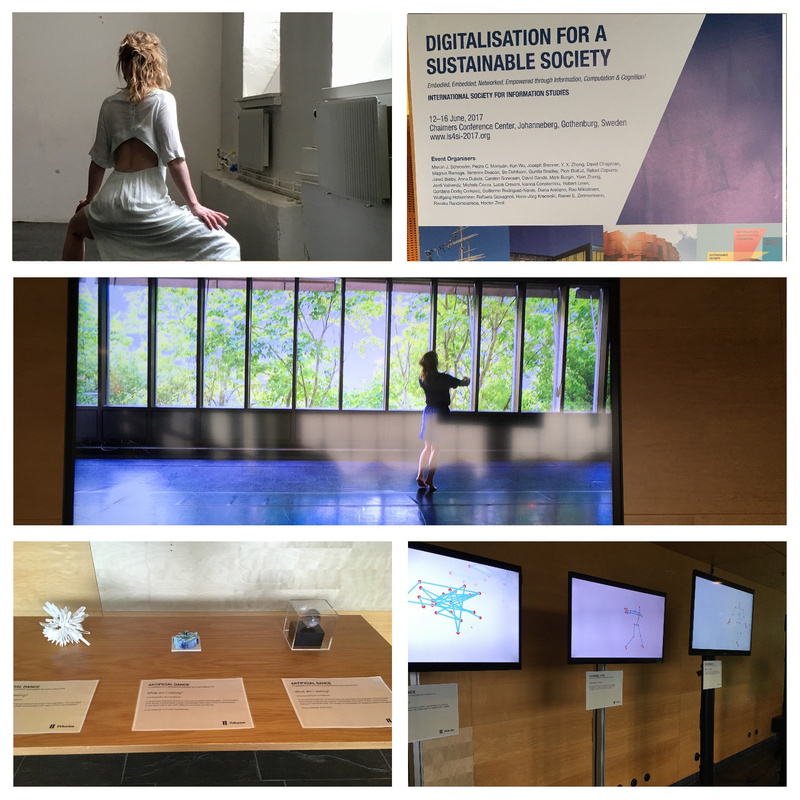 Choreographer Louise Crnkovic-Friis presents an exhibition and performance that shows one form of collaboration between a human and AI choreographer. It is exploring two broad categories of research that relate to the artistic practice. The first one is the use of AI as a creativity catalyst – as a source of inspiration for the creative process. The second one is the exploration of hybrid choreography – creative collaboration between human and artificial intelligence. It also looks at the expectation vs perception of external viewers when they have been informed (or not) that an AI has been involved in creating the work. The performance and exhibition are a continuation of the work presented in the article “Generative Choreography using Deep Learning” at the ICCC 2016 conference. © 2019 Louise Crnkovic-Friis. All rights reserved.